To watch the teaser videos click on the pictures below. 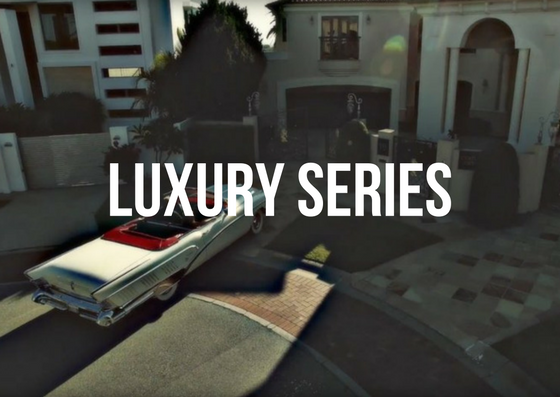 Presenter Jessica Stafford welcomes you to the luxury series, where we demonstrate real estate, cars, boats & more with class. Driving in an American Classic Car and dreaming about the perfect home. A lovely home presented along with aerial views of Sanctuary Cove. Tracking a Mercedes-Benz CLA 2016 through the dramatic mountains of Oman and UAE from a falcon’s perspective along with story-telling. We see how the latest Mercedes-Benz C300 navigates through the Story Bridge and Brisbane CBD in the intro title in short film Daimonion.